I've been playing the DDS games on PCSX2. I managed to play through DDS1 without encountering any real issues. The emulation wasn't always perfect, of course, but it did its job well enough that I was able to get through it from start to finish. However, with DDS2, I began to run into problems. The first problem I encountered was that an FMV ended and simply froze rather than transitioning to the next one, but thankfully, I managed to get past that. But a bit later, I ran into a bigger problem. At semi-random points, the game's image just...hangs. The background music continues as normal, but the actual video display just stops dead in its tracks, forcing me to restart the emulator entirely. For the record, my copies of DDS 1&2 are indeed the PAL versions that are known for having issues. But I'm not sure if this is an example of that; like I said, I was able to play through the first game just fine. In fact, aside from those issues, DDS2 has been running extremely well; thanks to the option of being able to choose to display the game at 60 Hz, the game runs very smoothly. In any event, I've tried a lot of things. I've changed video plugins, tried running the game with and without the EE timing hack, running it at 50 Hz instead of 60, fiddled with recompiler options, tried running the game in software mode and even tried using speedhacks (which, ironically, made the game run slower)...so far, I've had no luck. The issue doesn't seem to be permanent. After a few tries, I finally managed to get through the areas where I constantly experienced it. But it happens frequently enough that it seriously affects my ability to play the game and I don't want to constantly lose progress, so I'm posting here to find out if there is anything I can do or if I have no choice but to try and blunt force my way through it with repetition and save states. I thank you in advance for any assistance you may provide. make sure that you are using the default settings and also post you emulog to provide further support. You shouldn't use savestates if you see hangs/blackscreens/errors. The bug might be introduced into your game much earlier due to some hack or error in the emulator. By using savestates you create a memory copy. If the memory is corrupted you can experience the exactly same hang independent on the number of reloads. So if your game gets broken load the savestate. Save using the in-game save function to the memcard. Restart the game, reload the memcard save and try again. (04-14-2015, 10:26 AM)willkuer Wrote: You shouldn't use savestates if you see hangs/blackscreens/errors. The bug might be introduced into your game much earlier due to some hack or error in the emulator. By using savestates you create a memory copy. If the memory is corrupted you can experience the exactly same hang independent on the number of reloads. Thank you for the notice. Just to be clear, however, I haven't been using savestates with this game up to this point. I have only saved using in-game methods to the memcard. try the latest development builds from here. I tried using the latest two developer builds; no dice. I also ripped a new ISO. At first, it seemed like it did the trick, since I managed to get past the immediate area. But not long afterwards, the game ended up hanging again. However, I have noticed a pattern. 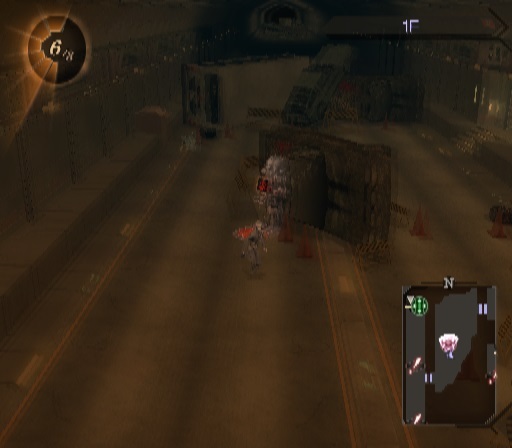 Though the game did sometimes hang in the dungeon sections, it is in the wider areas (such as the one in the picture) with a fixed camera that these sort of hick ups occur the most. I'm not sure if there is any specific reason for it (maybe there is more stuff to load?) or if it's just a coincidence. do you notice anything strange on your RAM (or) CPU usage (through taskmanager) while pcsx2 crashes ? (04-15-2015, 06:56 AM)ssakash Wrote: do you notice anything strange on your RAM (or) CPU usage (through taskmanager) while pcsx2 crashes ? Though this could be my lack of technical expertise talking, I haven't noticed anything really unusual. One of the CPU cores is much more active than the rest, but I'm presuming that's entirely normal (I'm aware that the emulator normally makes use of two CPU cores at most). Also, I initially thought that the freeze was accompanied by a sharp CPU spike, but after further testing, it occurred without any unusual fluctuations as well. It looks like there's no real solution to this problem. Oh well, at least I've still managed to make progress in spite of it. I guess all I can really do is hope that it won't be as much of an issue from now on. Regardless, I thank everyone for their help.